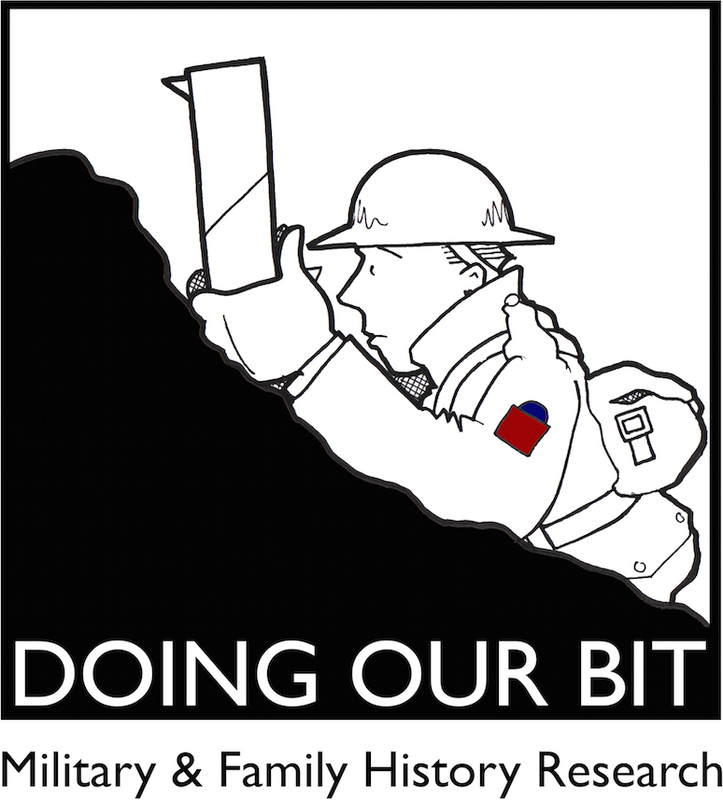 Today marks the launch of a new series of articles entitled Doing Their Bit. Each article focuses on a blogger, writer or volunteer who shares their research, stories and passion for remembering and commemorating lives touched by the First World War. Some partner with museums, archives and educational institutions while others publish their work on blogs, social media or in print. Many, including Stephanie Ann Warner, do both. Stephanie studied 19th and early 20th century British and British Empire history at university and continues to explore the past and present in her two blogs: Stephanie Ann Warner: Exploring Past and Present and Harold Monks: The Life of a Tofino Pioneer. Stephanie’s interest in making history more accessible through digital media is evident in the many articles and photographs featured on both sites. Harold Monks was Stephanie’s grandfather, an early settler in Tofino and a Signaller in the Canadian Field Artillery. Harold Monks: The Life of a Tofino Pioneer is based on an amazing collection of photos spanning more than 50 years. Articles including Harold Goes to War, The War is Over and Great War Veteran focus on Harold’s experience during and after the First World War. Stephanie Ann Warner: Exploring Past and Present combines her interest in exploring the past and in travelling to places where she can follow in the footsteps of those she has researched. The blog features many articles relating to the First World War including one on Gunner Ray Brewster , a good friend of her grandfather and the son of a B.C. Premier. Ray was tragically killed in France just ten days before the end of the war. 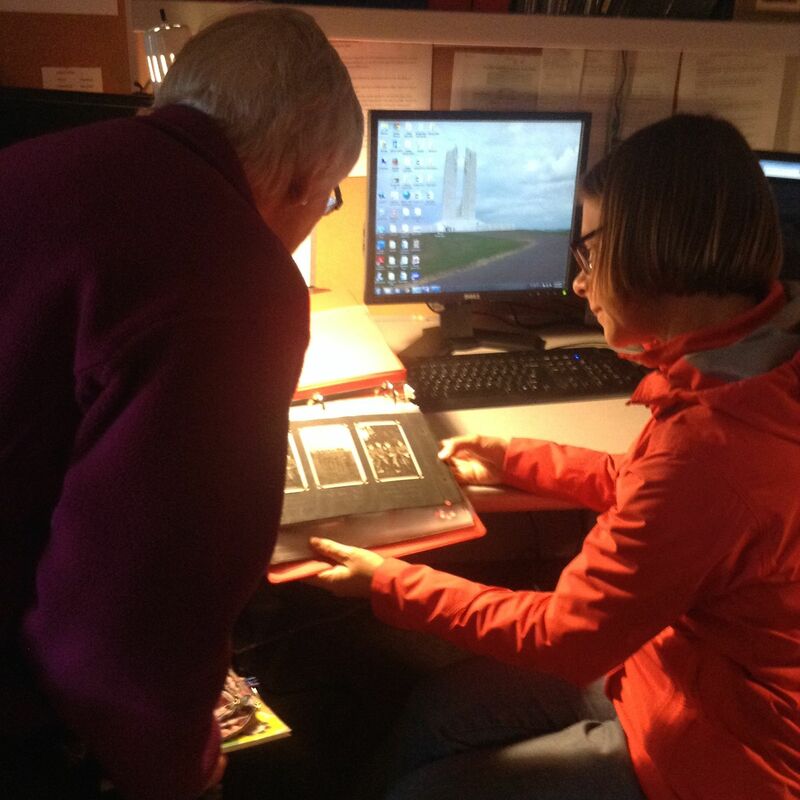 Last summer Stephanie took part in the Royal BC Museum‘s Transcribe project, transcribing all the First World War letters of Lt. Erroll Pilkington Gillespie. She wrote a guest article describing her experience and became so interested in Errol’s letters that she will soon be travelling to England to explore the places he described. 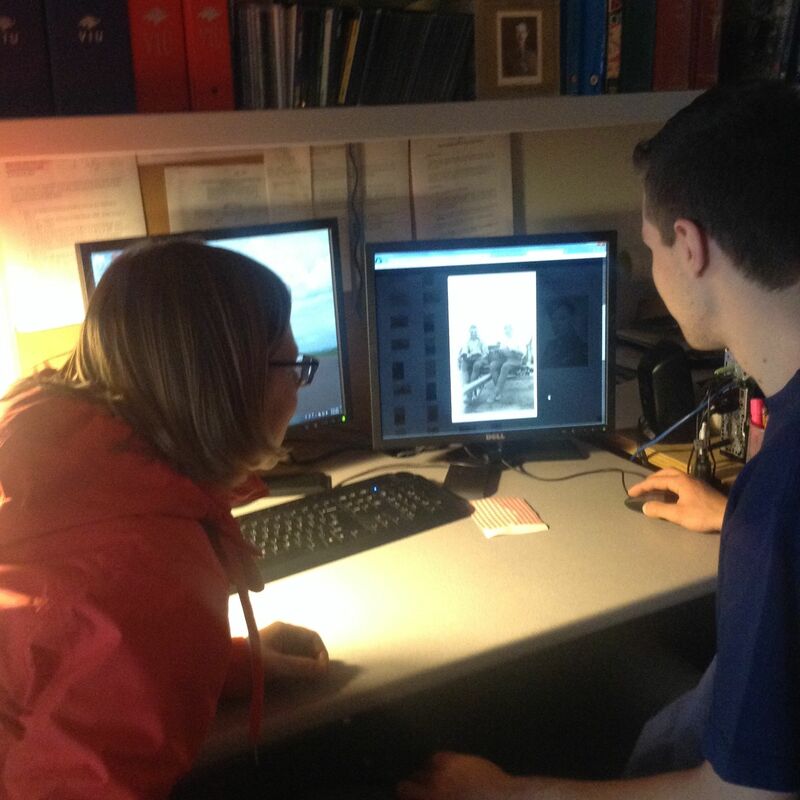 Stephanie’s most recent article provides a wonderful overview on one of Canada’s finest First World War resources: the Canadian Letters and Images Project. Thanks to Stephanie, Stephen Davies and his team at Vancouver Island University over 250 postcards, photos and personal items have been scanned and made available online. I first met Stephanie in April 2015 at an archives boot camp in Victoria, BC. As we are both bloggers with an interest in family history and the First World War it’s no surprise that we’ve kept in touch. However neither of us expected to uncover connections between individuals we were researching independently, and on no less than three separate occasions! The first was last May when Stephanie sent me a group photo that included Gunner Ross McCannel (featured in her article Harold Goes to War) who lived with his family lived in a house just blocks away from where I live today. He and his brother were included in my 2014 research into Fairfield in the First World War. Ross died on Nov. 6 1918, five days before the Armistice and just five weeks after the death of his older brother Don. The second connection centred on Frieda Hasenfratz, the author of a poignant letter written to close friend 2nd Lt. Frank Dunn, who turns out to be Stephanie’s great-great aunt’s sister-in-law. Her great-great aunt and her husband Jacob Herman Hasenfratz were featured in Suburban Amateurs Score Another Hit!, a guest article she recently shared on the Local History blog. The most recent coincidence was discovered only days ago when it came to light that the wife of Lancelot de Saumerez Duke, the airman I’m currently researching, was a friend of Erroll Pilkington Gillespie, the young Lieutenant whose letters she transcribed last summer. Need help with your research? I provide guidance and customized research assistance to individuals, community groups and institutions!